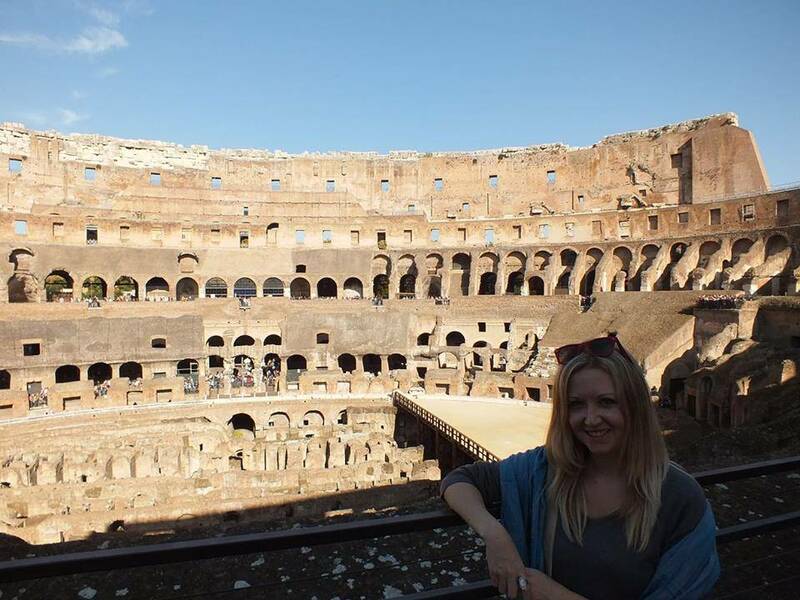 This year I was lucky enough to tick off another place from my travel wish list … Rome. Rome is a city that I have always wanted to visit and I’m so happy to say it completely lived up to my expectations. We only spent a weekend in Rome but it was a fantastic couple of days and a perfect romantic getaway. I had arranged my trip with Wizz Air from Sofia when they had one of their fab buy one get one free ticket offers. After booking the flights I wanted to find a reasonably priced hotel in the centre of the city so I began my search using Booking.com and Airbnb. I finally settled on a hotel called Hotel Santa Prassede, the rate was around 50 EUR per night for a double room including breakfast and the location was great as it was walking distance to both the main train station and the Colosseum. Rome is quite an expensive city so 50 EUR per night only gets you a budget hotel but I can honestly say that Hotel Santa Prassede was excellent value for money. The rooms were clean and despite being a little small, we were very comfortable there for 2 nights and I would have happily stayed longer. Breakfast was simple and tasty with coffee, juice and croissants but it was exactly what we needed to start our busy days of walking around the city. The centre of Rome is around a 40-50 minute car journey from Fiumicino airport and the next thing I needed was an inexpensive transfer. Taxis and hotel transfers were around 50 EUR each way and the train was around 10-15 EUR per person each way. I was going to opt for the train until I came across Terravison Buses. They offer a transfer from Fiumicino airport to the main train station in the centre of Rome for just 4 EUR per person each way (if you book online in advance). I immediately booked our return tickets and was very happy with their service. The buses run every 30 minutes and are right outside the main terminal building. Because the airport isn’t very big it doesn’t matter if you’re not landing at the same terminal as the Terravision bus stop is still within easy walking distance. If you haven’t bought a ticket online you can also buy from the tickets machines at the airport or at the Terravision cafe which is next to their bus stop at Termini station in Rome. The journey took just 55 minutes and when we arrived in the centre we just had a 10 minute walk to reach our hotel. 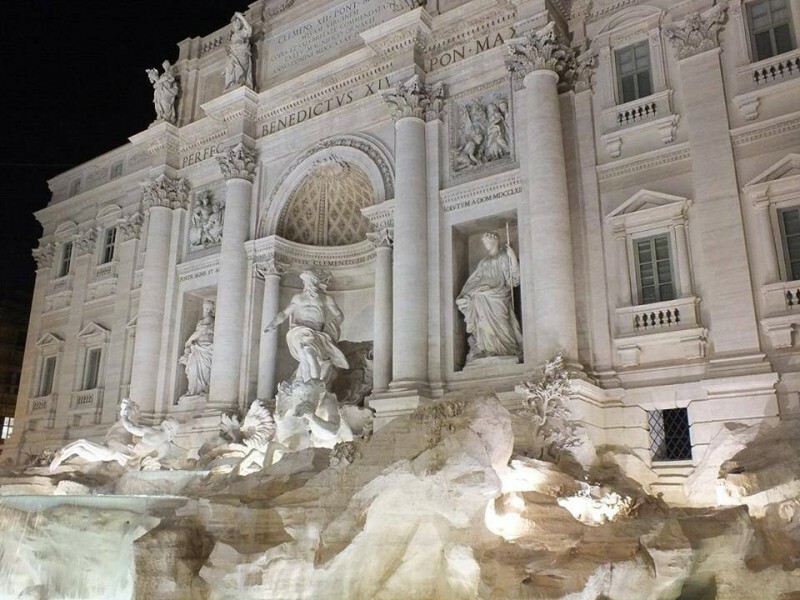 There were a few things in Rome that I knew I wanted to do, one was visit the Colosseum and the other was to visit Vatican City and, of course, I wanted to make a wish by throwing a coin into the Trevi Fountain. Having only 2 days to fit everything in I knew we needed to be organised so I booked my tickets for both the Colosseum and Vatican Museum online before we travelled. This turned out to be a great idea as we skipped long queues and saved a lot of time. We headed out at 8am to take the metro to Vatican City and arrived at the Vatican Museum by 9am. 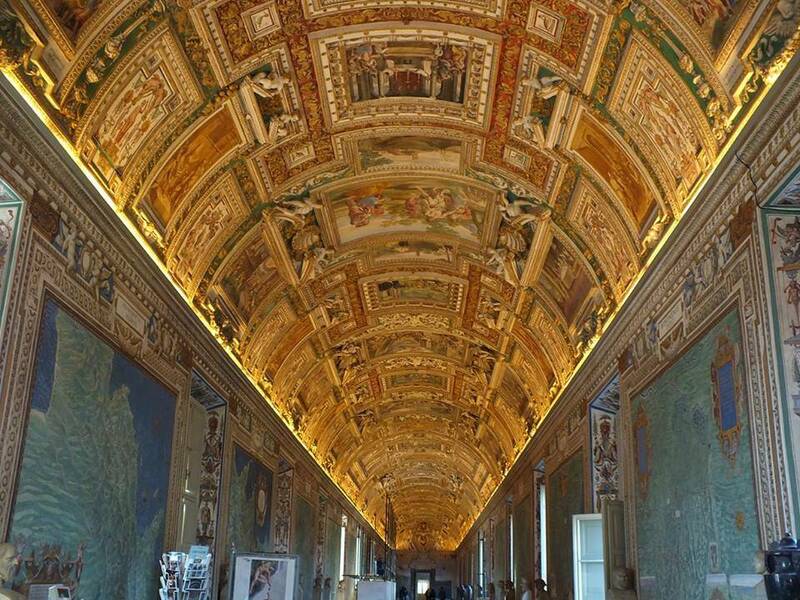 One of the highlights of my trip was seeing the Sistine Chapel, it’s incredibly beautiful and seeing the stunning works of art by the world’s most famous painters such as Michelangelo and Raphael was really wonderful. After the museum and chapel we went to St Peter’s Basilica, another breathtaking building. You don’t need a ticket to go inside the church but our mistake was not going here early as the queues were so long that we had to give up and not see inside. Next time I will go there first at 9am to avoid the long wait! A little tip: make sure you have the correct cash to buy your metro tickets as the machines wouldn’t give change and there were no staff around to change money at some of the stations. Our next stop was the Colosseum, a short metro ride away. We visited in November and the sun was shining so brightly that it felt like a summers day. We strolled around the inside of the Colosseum, soaking up the sunshine and imagining the incredible scenes that would have taken place there all those years ago. Being the tourists that we are, we then got out our selfie stick that we’d bought the night before for 5 EUR and took about a hundred selfies! 🙂 The Colosseum felt somehow smaller than we’d expected and after about an hour we left to continue exploring Rome on foot. 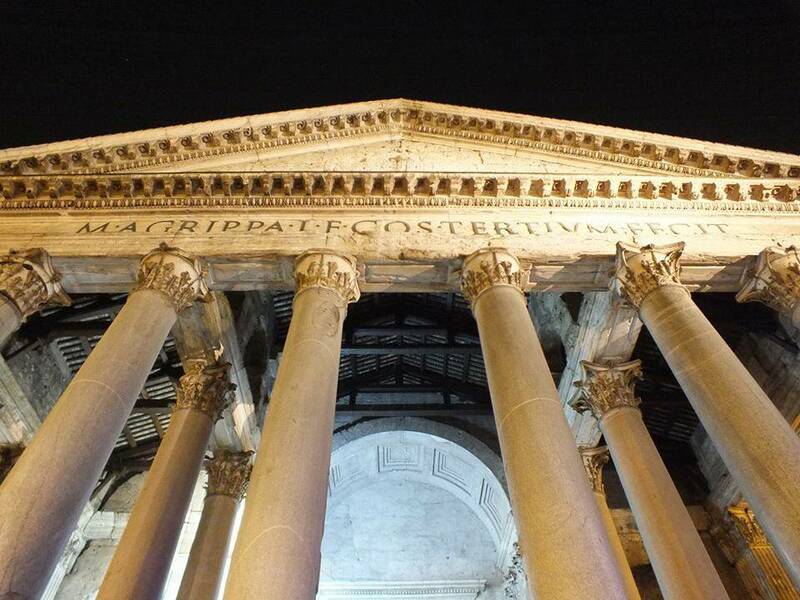 Another must see place was the Pantheon, unlike the Colosseum, this was so much bigger than I ever imagined, we sat inside here for a long time, admiring the architecture and enjoying the peaceful atmosphere. A few kilometres and a few hundred pictures later and we ended our day with an amazing dinner and bottle of wine in Piazza Navona. I couldn’t have wished for a nicer weekend for a romantic getaway, the city was beautiful, the food and wine were superb and even the weather was perfect. I had a feeling that I would fall in love with Rome and I did … they say that if you throw a coin into the Fontana di Trevi that you will return to Rome one day and now I really believe that’s true.